How easy it is, and plausible, to regard a collection of letters spanning youth and old age as an approximation of autobiography: the procession of denizens who inhabit a life, the bit players with their entrances and exits, the faithful chronology of incidents—all turn up reliably in either form, whether dated and posted or backward-looking. Yet autobiography, even when ostensibly steeped in candor, tends toward reconsideration—if not revisionary paperings-over, then late perspectives, afterwords, and second thoughts. Whereas letters (but here let us specify a writer’s letters) are appetite and urgency, unmediated seizures of impulse and desire torn from the fraught and living moment. And letters—sorted, indexed, bound—are themselves a paradox: hotly alive, they claim death as a requisite. Rare and anomalous is the publisher who would prefer the correspondence of the quick, however celebrated, to the letters of the dead: the death of a writer who answers his mail, especially one possessed of a powerful fame, lengthens and amplifies the body of work. Even so, death disports with writers more cruelly than with the rest of humankind. The grave can hardly make more mute those who were voiceless when alive—dust to dust, muteness to muteness. But the silence that dogs the established writer’s noisy obituary, with its boisterous shock and busy regret, is more profound than any other. Oblivion comes more cuttingly to the writer whose presence has been felt, argued over, championed, disparaged—the writer who is seen to be what Lionel Trilling calls a Figure. Lionel Trilling? Consider: who at this hour (apart from some professorial specialist currying his “field”) is reading Mary McCarthy, James T. Farrell, John Berryman, Allan Bloom, Irving Howe, Alfred Kazin, Edmund Wilson, Anne Sexton, Alice Adams, Robert Lowell, Grace Paley, Owen Barfield, Stanley Elkin, Robert Penn Warren, Norman Mailer, Leslie Fiedler, R.P. Blackmur, Paul Goodman, Susan Sontag, Lillian Hellman, John Crowe Ransom, Stephen Spender, Daniel Fuchs, Hugh Kenner, Seymour Krim, J.F. Powers, Allen Ginsberg, Philip Rahv, Jack Richardson, John Auerbach, Harvey Swados—or Trilling himself? These names of the dead—a good number of them past luminaries, a few (Lillian Hellman, say) worthy of being forgotten—do not come randomly. They all have their fleeting turn in Saul Bellow’s letters, whether vituperatively, casually, or approvingly (though scarcely ever indifferently). It is safe to say that most are nowadays not much in demand either at your local library or on Amazon, and safer yet to surmise that many have little chance of outlasting even the first third of the twenty-first century; several have barely outlasted the twentieth. Nearly all have been overtaken by newer writers lately grown familiar, vernal aspirants who crowd the horizon with their addictive clamor. And even as these contemporary importunings swamp our perception, what can already be clearly discerned rising from this swelling armada of the twice-buried is a single exemption: Bellow. Among all the literary tumults and public roilings of the recently Famous, he alone courts lastingness, he alone escapes eclipse. To state this so bluntly is not so much a declaration as it is an inquiry. Only see how speedily the grave works its mufflings and comedowns—Ginsberg, mum; Mailer, dumb as stone. In the tracings of unassailable art, high or low, they leave improbable spoor: the poet no poet but minstrel and mountebank, the would-be immortal novelist undone by the politicized harlequin he became. Gradually they decay into symptom and artifact—documents of a receding social history—while the vestigial rustlings surrounding their names testify to nothing more memorable than outdated literary tinsel. [My parents] needed all the help they could get. They were forever asking, “What does the man say?” and I would translate for them into heavy-footed English. That didn’t help much either. The old people were as ignorant of English as they were of Canadian French. We often stopped before a display of children’s shoes. My mother coveted for me a pair of patent-leather sandals with an elegantissimo strap. I finally got them—I rubbed them with butter to preserve the leather. This is when I was six or seven years old.... Amazing how it all boils down to a pair of patent-leather sandals. It all boils down to a pair of patent-leather sandals. A dying old man’s sentimental nostalgia, a fruitlessly self-indulgent yearning for a mother lost too soon? No; or not only. What we are hearing also is the culmination of a theory of pastness—and pastness means passage. In nine sentences, an annotated history of an immigrant family, where it settled, how it struggled, how it aspired; and a hint of the future novelist’s moral aesthetic, the determination to preserve. As with the family, so with the family of man. Bellow, who as a graduate student studied anthropology, as a writer pursues the history of civilized thought—an inquisitiveness directed to the way experience (Augie) turns into a quest for philosophy (Henderson, Sammler, Herzog), sometimes via a scalding bath of comedy. I attended the Tuley reunion and it was a depressing affair, on the whole—elderly people nostalgic for youth and the Depression years. There seemed nothing for them (for us) to do but to turn into middle-class Americans, all supplied with the same phrases and thoughts from the same sources. Some came from far away ... and some were crippled and required wheeling.... [One] who seemed well preserved turned out to have a hereditary disorder affecting his memory so that he was groping, while we talked, and his new wife was deeply uneasy.... But my closest friends were Oscar and Isaac, dead for many years. In every decade I try to think what they might have been like had they lived. I even came to know Yetta’s grandfather, whom I would often see at the synagogue when I came to say Kaddish for my mother. He was an extremely, primitively orthodox short bent man with a beard that seemed to rush out of him and muffled his face. He wore a bowler hat and elastic-sided boots. The old women, it seems, were wildly radical Communist sympathizers. The grandfathers were the pious ones. Passages such as these, with their sociohistorical notation and their indelible optical prowess—rushing beard, elastic-sided boots!—can easily be found reverberating in any of Bellow’s stories and novels. And even in the very first letter in this collection, a clowning response to Yetta’s having jilted him in favor of one Nathan Goldstein, Bellow at seventeen was already a conscious writer—antic, teasing, showing off, pumping adolescent brio and witty pastiche. He felt what he was; he was sure of what he had. I know you will accuse me again of putting off the philosopher’s robe and of being too impatient, and that you will repeat that before I have published five or six books I can’t expect to live by writing. But as I write slowly I will be forty or so before my fifth book is ready and I don’t think it is unreasonable of me to expect that the most should be made of what I do produce. When I see my chances for a year or two of uninterrupted work going down the drain I can’t help protesting the injustice of it. This year I have been ill and teaching leaves me no energy for writing. [Bellow at this time was assistant professor of English at the University of Minnesota, Minneapolis.] ... I see next year and the next and the one after that fribbled away at the university. My grievance is a legitimate one, I think. I don’t want to be a commercial writer or to be taken up with money. I have never discussed money matters with you in four years, not even when I signed contracts, except for the letter I wrote you last spring about [The Victim]. You were annoyed with me. ... But now the book is out, it hasn’t been badly received and already it seems to be going the way of Dangling Man. Circumspectly, the letter was not sent. But the break with Henle was carried out; it stood for more than ambition, more than a writer’s nervous self-advocacy. It was clairvoyance, it was a heralding, it spoke for the cause of imagination untrammeled. Already it bristled with the thickening future. His second novel only just published, Bellow was numbering the long row of still-to-be-written novels ahead. The unsent letter was not about money—it was about freedom, it was about becoming. Even more, it was about knowing. Bellow knew what he knew, and like some youthfully anointed evangelist, he wanted what he knew to be known. The flight from Henle was the beginning of a credo. Compared to what is published nowadays between boards, it is an accomplishment. By my own standards, however, it is promissory. It took hold of my mind and imagination very deeply but I know that somehow I failed to write it freely, with all the stops out from beginning to end.... And I must admit that in spite of the great amount of energy I brought to the book at certain times, I was at others, for some reason, content to fall back on lesser resources.... But there is a certain diffidence about me ... that prevents me from going all out.... I assemble the dynamite but I am not ready to touch off the fuse. Why? Because I am working toward something and have not arrived.... I wanted to write before I had sufficient maturity to write as “high” as I wished and so I had a very arduous and painful apprenticeship and still am undergoing it. Adding more than sixty years of reappraisal to Bellow’s spare three months, we can argue even more effectively against the notion of apprenticeship. There is by now no getting away from it: the earlier novels need not, should not, be overshadowed or diminished by Augie. It is not too daring to venture that if Augie—grand gusts of vitality notwithstanding—had never come into being, Bellow would still have been Bellow: the mind, the wit, the word, the reach; the perplexity and the delirium of the human animal. There are whole pages in Dangling Man that might have been torn out of Seize the Day. There are rolling tracts of dialogue in The Victim with telling affinities to Ravelstein. The familiar metaphysical cunning is everywhere. From the start, Bellow wrote “high.” And the key to writing high, said this most intellectual of novelists, is to force intellect into hiding, to trick the explicit into vanishing into the implicit. I think positions emerge in a work of art, and you seem to think they’re imposed. It makes small difference what the artist says he thinks, and a “prepared” attitude is an invitation to disaster.... I only complain that intelligence has become so naked. If you think Seize the Day was good, I am satisfied that I’m doing all right. It’s hard for me to know, because so much of the time I’m deaf, dumb and blind, the slave of unknown masters. All the formal properties have to be cracked and the simplicities released. Your explication is too dense, too detailed.... Perhaps it is too much like laboratory analysis.... You see, you have left out the literary side of the matter almost entirely, and that, to my mind, is a mistake. I myself distinguish between the parts of the novel that were written and those that were constructed as part of the argument; they are not alike in quality.... Your interest is in Opinion rather than in Creation. Imagination has been steadily losing prestige in American life, it seems to me, for a long time. I am speaking of the poetic imagination. Inferior kinds of imagination have prospered, but the poetic has less credit than ever before. Perhaps that is because there is less room than ever for the personal, spacious, unanxious and free, for the unprepared, unorganized, and spontaneous elements from which poetic imagination springs. You’ll find the book I’m writing now less “tender,” “tolerant,” etc. When a writer has such feelings, however, it’s his business to lead them all into the hottest fire. He must expose them to the most destructive opposites he can find and, if he wishes to be tender, confront the murderer’s face. The converse, however, is equally true, for writers who believe there is a Sargasso of vomit into which we must drift are obliged to confront beauty. To deny that, you would have to deny your instincts as a writer. Augie was very difficult for me in the last half. I suppose I succumbed to the dreadful thing I warn everyone against—seriousness.... My slogan was “Easily or not at all,” but I forgot it. Too much of a temptation to speak the last word. Somehow I’ve managed to do exactly what I like. There are certain philosophers (Samuel Butler, if he is one) who say we really do get what we want. Question: Can we bear it when we get it? That’s the question that’s the beginning of religion. We were cats of the same breed. The sons of Eastern European immigrant Jews, we had gone early into the streets of our respective cities, were Americanized by schools, newspapers, subways, streetcars, sandlots. Melting Pot children, we had assumed the American program to be the real thing: no barriers to the freest and fullest American choices. Of course we understood that it was no simple civics-course matter. We knew too much about the slums, we had assimilated too much dark history in our mothers’ kitchens to be radiant optimists ... It was admiration, it was love that drew us to the dazzling company of the great masters, all of them belonging to the Protestant Majority—some of them explicitly anti-Semitic.... But one could not submit to control by such prejudices. My own view was that in religion the Christians had lived with us, had lived in the Bible of the Jews, but when the Jews wished to live in Western history with them they were refused. As if that history was not, by now, also ours. These words (brilliantly included among the letters by the superbly intuitive editor) were recited on Bellow’s behalf under the dim chandeliers of the meeting room of the American Academy of Arts and Letters, where the members’ chairs bore brass plaques inscribed with such storied names as Henry Adams, Owen Wister, Hamlin Garland, Edwin Markham, and other venerable representatives of Bellow’s capitalized Majority. And when, not yet out of their teens, he and Isaac Rosenfeld dissolved the solemn ironies of Eliot’s “Love Song of J. Alfred Prufrock” into a hilariously lampooning Yiddish ditty, it may have marked the signal moment when writers born Jewish and awakened into America would refuse to be refused by Western history. Bellow’s capacity for what might (in quick march) be called Jewish intelligence summoned deeps far beyond where the journalists could follow: the literary talent that rose up, in puzzling if impressive flocks, out of what appeared to be a low immigrant culture. Bellow was distinctive in transcending—transgressing against—the archetype of the coarse and unlettered ghetto greenhorn. The greenhorns in their humble trades were aware that they were carriers of a moral civilization. (“You are too intelligent for this,” Herzog protests to his vaporously over-theorizing friend Shapiro. “You inherited rich blood. Your father peddled apples.”) Though he had repeatedly declared himself, as an American, free to choose according to will or desire, Bellow also chose not to be disaffected. He was in possession of an inherited literacy that few novelists of Jewish background, writers of or close to his generation, could match, however sophisticated they otherwise might be. His range spanned an inclusive continuum; as his eulogy for Malamud insisted, Western learning and literature had also to mean Jewish learning and literature. He was at home in biblical Hebrew, was initiated into the liturgy from early childhood, and read and spoke (always with relish) a supple Yiddish. In the letters he will now and again slide into a Yiddish word or phrase for its pungent or familial aptness where English might pale. It was Bellow who, with Irving Howe and the Yiddish poet Eliezer Greenberg standing by, translated I.B. Singer’s “Gimpel the Fool,” in effect creating, in a matter of hours, a modernist American writer out of what had passed, mistakenly, for an old-fashioned Yiddish storyteller. What other “American Jewish writer” could have pulled off this feat? Or would have been willing to set aside the mask of fiction to pursue—his personal viewpoint plain to see—the political culture of Israel, as Bellow did in To Jerusalem and Back, a book-length essay composed at the crux of churning contention? (Decades old and read today, it remains, in its candor and credibility, shatteringly up-to-date.) And finally—we are compelled to come to this—there is the strangely misunderstood question of Bellow and the Holocaust. It’s perfectly true that “Jewish Writers in America” (a repulsive category!) missed what should have been for them the central event of their time, the destruction of European Jewry. We (I speak of Jews now and not merely of writers) should have reckoned more fully, more deeply with it.... I was too busy becoming a novelist to take note of what was happening in the Forties. I was involved with “literature” and given over to preoccupations with art, with language, with my struggle on the American scene, with claims for recognition of my talent or, like my pals of the Partisan Review, with modernism, Marxism, New Criticism, with Eliot, Yeats, Proust, etc.—with anything except the terrible events in Poland. Growing slowly aware of this unspeakable evasion I didn’t even know how to begin to admit it into my inner life. Not a particle of this can be denied. And can I really say—can anyone say—what was to be done, how this “thing” ought to have been met? Since the late Forties I have been brooding about it and sometimes I imagine I can see something. But what brooding may amount to is probably insignificant. I can’t even begin to say what responsibility any of us may bear in such a matter, in a crime so vast that it brings all Being into Judgment. If there appears to be a contradiction in this arresting statement, it is hardly to the point. “I was too busy becoming a novelist to take note of what was happening in the Forties” may in fact clash with “Since the late Forties I have been brooding about it,” but it is the closing phrase that calls reality into question—the known reality of “the terrible events in Poland.” Bellow was made fully aware of these events earlier than most, and with a close-up precision unbefogged by such grand metaphorical abstractions as “a crime so vast that it brings all Being into Judgment.” The writer who could explicitly describe the particular texture of an old man’s boots glimpsed seventy years before here fades into the elusiveness of high declamation. Yet a single much-overlooked biographical datum may dispute these assertions of overriding literary distraction. In 1948, three years after the defeat of Germany and the appalling revelations of the death camps, Bellow and Anita Goshkin, the social worker who became his first wife, went to live in Paris; a Guggenheim grant made the move possible. Bellow settled in to work on a new novel, caught up in the convivial cadres of literary Americans drawn to postwar Paris, while Anita found a job with the American Jewish Joint Distribution Committee. Here we must pause to take this in. The Joint, as it was called, was a privately funded American effort to salvage the broken lives of the remnant of Holocaust survivors. Anita was perforce immersed daily in freshly accumulating news of “the terrible events in Poland.” Are we to believe that the wife never imparted to the husband what she learned and witnessed and felt every day, or that, detached, he took no notice of it? I once asked Alexander Donat, author of The Holocaust Kingdom, how it was that the Jews went down so quickly in Poland. He said something like this: “After three days in the ghetto, unable to wash and shave, without clean clothing, deprived of food, all utilities and municipal services cut off, your toilet habits humiliatingly disrupted, you are demoralized, confused, subject to panic. A life of austere discipline would have made it possible for me to keep my head, but how many civilized people lead such a life?” Such simple facts—had Hannah had the imagination to see them—would have lowered the intellectual fever that vitiates her theories. Pound advocated in his poems and in his broadcasts enmity to the Jews and preached hatred and murder. Do you mean to ask me to join you in honoring a man who called for the destruction of my kinsmen? I can take no part in such a thing even if it makes effective propaganda abroad, which I doubt. Europeans will take it instead as a symptom of reaction. In France, Pound would have been shot. Free him because he is a poet? Why, better poets than he were exterminated perhaps. Shall we say nothing in their behalf? America has dealt mercifully with Pound in recognizing his insanity and sparing his life. To release him is a foolish and feeble idea. It would identify this program in the eyes of the world with Hitler and Himmler and Mussolini and genocide.... What staggers me is that you and Mr. [John] Steinbeck who have dealt for so many years in words should fail to understand the import of Ezra Pound’s plain and brutal statements about the “kikes” leading the “goy” to slaughter. Is this—from The Pisan Cantos—the stuff of poetry? It is a call to murder.... The whole world conspires to ignore what has happened, the giant wars, the colossal hatreds, the unimaginable murders, the destruction of the very image of man. And we—“a representative group of American writers”—is this what we come out for, too? In light of this uncompromising cri de coeur, and of similar mordant reflections in the novels and the stories (covertly in The Victim and boldly elsewhere), how are we to regard Bellow’s “I was too busy becoming a novelist” apologia? A false note: there was, in fact, no “unspeakable evasion”—rather, an enduring recognition of acid shame and remorse. And can I really say—can anyone say—what was to be done? Clearly, and from the first, he saw and he knew. Now it may be imagined—or even insisted—that too much is being made of all this, that the emphasis here is disproportionate, and that there are other dimensions, more conspicuous and profuse, which can more readily define Bellow as writer. Or it can be said, justifiably, that he openly denigrated anything resembling special pleading—after all, hadn’t he brushed off as “a repulsive category” the phrase “Jewish writers in America”? And what was this dismissal if not a repudiation of a vulgarizing tendency to bypass the art in order to laud the artist as a kind of ethnic cheerleader—much as young Jewish baseball fans are encouraged to look to Hank Greenberg for prideful self-validation? Besides, he had long ago put himself on record as freewheeling, unfettered, unprescribed, liberated from direction or coercion. In words that will not be found in the correspondence (they derive from the essays, those publicly personal letters to readers), Bellow wrote, “I would not allow myself to become the product of an environment”—flaunting willful italics. And though he never failed to refresh his law of the unleashed life, it rang now with a decisive coda: “In my generation, the children of immigrants became Americans. An effort was required. One made oneself, freestyle.... I was already an American, and I was also a Jew. I had an American outlook, superadded to a Jewish consciousness.” To Faulkner’s indifference he could speak—powerfully, inexorably—of “my kinsmen.” And to history the same. Say, then, that he was, as he intended to be, free, unstinting in what he chose to love or mourn or recoil from. The letters tell us whom and how he loved. He loved his sons. He loved John Berryman, John Cheever, Ralph Ellison, Martin Amis. He loved Alfred Kazin (whom he mostly disliked). He loved, to the end, Janis Bellow and their little daughter, Naomi Rose. He loved, even in death, Isaac Rosenfeld, the tumultuously inspired intimate of his youth (who nastily destroyed a hoard of his old friend’s letters). He revered—but not always—thought, civilization, and what he named “the very image of man,” all of which could be undone. He believed in outcry, and trusted the truth of his own. He was adept at witticism and outright laughter. He was serious in invoking whatever particle of eternity he meant by soul, that old, old inkling he was fearless in calling up from contemporary disgrace. Like the novels and the stories, the letters in their proliferation and spontaneity unveil the life—those sinews of it amenable to utterance—almost to its final breath. What happened soon afterward came to something less. On September 21, 2005, five months after Bellow’s death, a celebratory symposium was convened at the 92nd Street Y in New York. The participants included British writers Ian McEwan and Martin Amis, and critic James Wood, the first two having flown from London for the occasion; William Kennedy and Jeffrey Eugenides completed the panel. Each spoke movingly in turn: joyfully reverential, heartfelt, intermittently (and charmingly) anecdotal, adoring—a density of love. There was mention of modernism, fictional digression, character, childhood, Chicago, crowded tenements, the immigrant poor. Riffing in homage, Amis delivered an imitation of Bellow’s laugh, the delight and self-delight of it, the lifted chin, the head thrown back. But all this was a departure from the culminating sentiment—it was a sentiment, a susceptibility, a rapturous indulgence—that captivated and dominated these writerly temperaments. Wood: “I judge all modern prose by his ... The prose comes before and it comes afterward.” Amis: “His sentences and his prose were a force of nature.” McEwan: “The phrase or sentence has become part of our mental furniture.... Sentences like these are all you need to know about Saul Bellow.” And so on. Understandable, plainly: superior novelists, stellar craftsmen, each one mesmerized by Bellow’s unparalleled combinations. 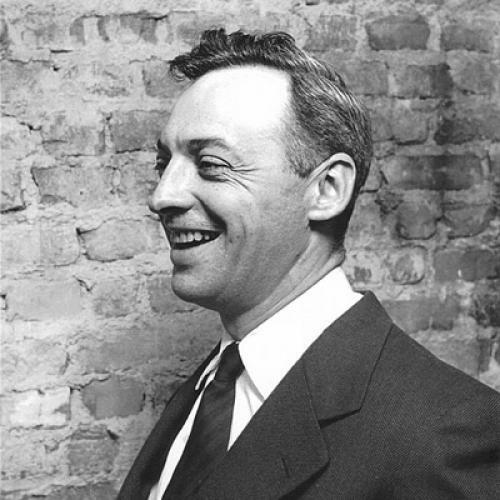 Yet, despite these plenitudes, Saul Bellow was missing on that platform and in that auditorium teeming with admirers—as much missing there as, clothed in living flesh, he is an insistent presence in the letters. It was as if a committee of professional jewelers, loupes in place, had met to sift through heaps of gems strewn scattershot on a velvet scarf—the splendor and flash and glitter of opal and ruby and emerald, the word, the phrase, the sentence, the marvelous juxtapositions, the sublime clashes of style, the precious trove of verbal touchstones! It was not enough. It was an abundant truth that diminished even as it aggrandized. A mammoth absence opened its jaws—where was the century, the century that Bellow’s reality-stung inquisitiveness traversed almost in its entirety, from Trotsky to Wilhelm Reich to Rudolf Steiner, where was the raw and raucously shifting society he knocked about in, undermined, reveled in, and sometimes reviled? Where was his imagined Africa, where were the philosophies he devoured, where were the evanescent infatuations he pursued, where was the clamor of history, and the defiant angers, and the burning lamentations for the beloved dead, the broken heart for Isaac Rosenfeld, whose writer’s envy blazed, and for the father and brothers whose belittlements never left off hurting? And where, during that long tribute-laden afternoon in New York, was America itself? Among the soon-to-be-forgotten novelists of our time, Saul Bellow stays on. Surely it is for the kaleidoscopic astonishments of his sentences that he lasts. But not only. Cynthia Ozick is the author, most recently, of Foreign Bodies (Houghton Mifflin Harcourt). This article ran in the March 3, 2011, issue of the magazine.